Kathryn Bigelow's cast for Zero Dark Thirty is filled with some incredibly talented actors, but nobody should be surprised by that. After all, who would pass up the chance to work with an Academy Award winning director and screenwriter? The film has already been completed and features performances from Jessica Chastain, Joel Edgerton, Chris Pratt, Mark Strong, Jennifer Ehle, Jason Clark, Scott Adkins, Taylor Kinney, Harold Perrineau and Kyle Chandler among others. But apparently one bit of casting news has been kept off the radar and has finally been revealed. Entertainment Weekly has learned that Sopranos star James Gandolfini is also in Zero Dark Thirty and will be playing Leon Panetta, one of the most important figures in the hunt for Osama bin Laden, as he was the head of the CIA when SEAL Team Six found and killed their target (he is currently the Secretary of Defense). In addition to learning information about the character, the magazine has also released the first image the character and you can check that out below. 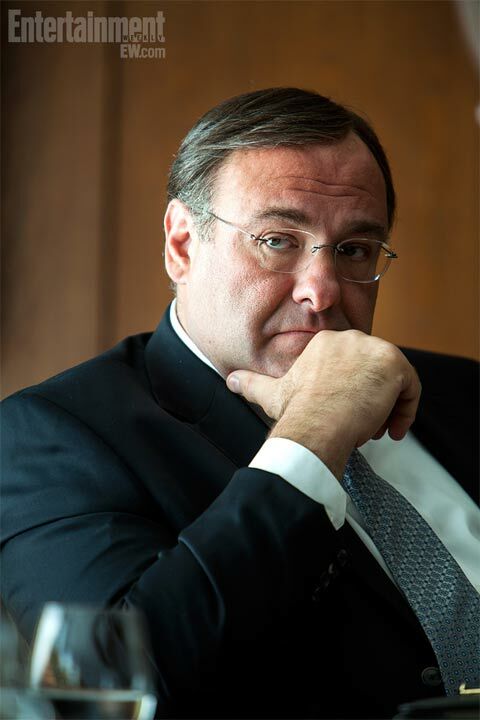 This is shaping up to be a pretty big year for Gandolfini, even though he's yet to have a film out in 2012. Adding Zero Dark Thirty he now has three movies set to come out this fall, the other two being Killing Them Softly with Bradd Pitt and Not Fade Away, David Chase's feature directorial debut. Zero Dark Thirty, due out December 19th, follows SEAL Team Six on the long hunt for Osama bin Laden following the terrorist attacks on September 11, 2001. Head over to our Blend Film Database to see more from the movie.